Cloud-Based Contact Center Market Synopsis: Globally, the cloud-based contact center market is expected to grow from USD 6.47 billion in 2017 to USD 24.11 billion by 2023, at a CAGR of 25% during the forecast period. Cloud compliance requirements and pay-per-use subscription pricing model for end-users are expected to drive the cloud-based contact center market. However, the risk of information loss and lack of awareness about cloud-based contact centers in some economically developing regions can restrain the growth of cloud-based contact center market. On the other hand, improved customer experience and rising interest of global players towards investment in the market are the key opportunities of cloud-based contact center market. Cloud-Based Contact Center Market is a center point in an enterprise which is hosted on an Internet server from which all outbound and inbound communications are handled. 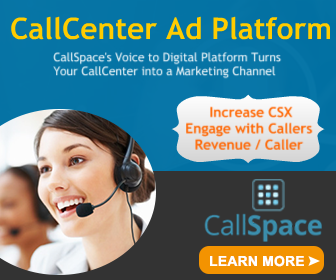 Cloud contact centers make their connections with the help of social media platforms, emails, voice, and the Web, which can be accessed virtually from any location. Cloud contact centers are used for reducing cost, improving ROI, optimizing agent efficiency, improving flexibility & scalability, and providing better customer experiences & employee empowerment. The deployment model of cloud-based contact centers enables organizations to build contact centers for third-party organizations. IT & telecommunication industry is expected to hold the largest market share among other verticals. Genesys is one of the companies providing PureCloud cloud contact center platform which captures and consolidates client conversation in one place, making it easy to spot trends, collaborate across teams, and solve problems. Request a Free Sample @ https://www.marketresearchfuture.com/sample_request/6358 Major Key Players: The prominent players in cloud-based contact center market are NICE Ltd. (Israel), 8x8 Inc. (US), Five9 (US), Cisco Systems (US), Genesys (US), Oracle Corporation (US), NewVoiceMedia (UK), Connect First (US), Aspect Software (US), and Extreme Networks among others. Other players in cloud-based contact center market are Liveops, Inc. (US), inContact, Inc.(US), 3CLogic (US), Accurate Always, Inc.(US), Interlink Network Systems (US), KM2 Solutions (US), Servion Global Solutions (India), and CCT Solutions (US) among others. Segmentation: •	By solution, the market is segmented into automatic call distribution, agent performance optimization, dialers, interactive voice response, computer telephony integration, reporting and analytics, security, and others. •	By services, the market is segmented into professional service and managed service. •	By organization size, the market is segmented into large enterprise and SME. •	By deployment model, the market is segmented into public cloud, private cloud, hybrid cloud. •	By vertical, the market is segmented into BFSI, retail, government & public sector, healthcare & life sciences, manufacturing, media & entertainment, IT & telecommunication, others. •	By region, the market is segmented into North America, Europe, Asia-Pacific and the Rest of the World. Regional Analysis: The global market for cloud-based contact center is estimated to grow at a significant rate during the forecast period from 2018 to 2023. The geographical analysis of cloud-based contact center market is studied for North America, Europe, Asia-Pacific, and the rest of the world. North America is expected to dominate the cloud-based contact center market owing to the presence of major vendors and increasing adoption of associated services. Asia-Pacific is expected to grow at a faster rate due to rising recognition of cloud-based solutions, growth and adoption of promising technologies like the Internet of Things (IoT). Access PR Details @ https://www.marketresearchfuture.com/press-release/cloud-based-contact-center-market Competitive Analysis The cloud-based contact center market has witnessed major trends, for example, the effective use of chatbots & artificial intelligence, and increasing dependence on interactive voice response (IVR). Many global players have adopted chat bots & artificial intelligence to increase their enterprise value in the market. Many global players are also concentrating on mergers and acquisitions for sustaining in the competitive environment of the cloud-based contact center. In December 2016, Genesys acquired InIn for USD1.4 billion which is the largest transaction ever in the cloud center industry. With this, Genesys is able to support clients in all the industries with complete portfolio available in the cloud and on-premise. In May 2017, Extreme Networks acquired Avaya Networking for USD 100 million. This acquisition was aimed at expanding the company’s state-of-the-art portfolio of data centers, core, campus, and edge networking. Access Report Details @ https://www.marketresearchfuture.com/reports/cloud-based-contact-center-market-6358 Intended Audience: •	Cloud vendors •	Application design and development service providers •	System integrators/migration service providers •	Consultancy firms/advisory firms •	Training and education service providers •	Data integration service providers •	Managed service providers •	Data quality service providers About Market Research Future: At Market Research Future (MRFR), we enable our customers to unravel the complexity of various industries through our Cooked Research Report (CRR), Half-Cooked Research Reports (HCRR), Raw Research Reports (3R), Continuous-Feed Research (CFR), and Market Research & Consulting Services.